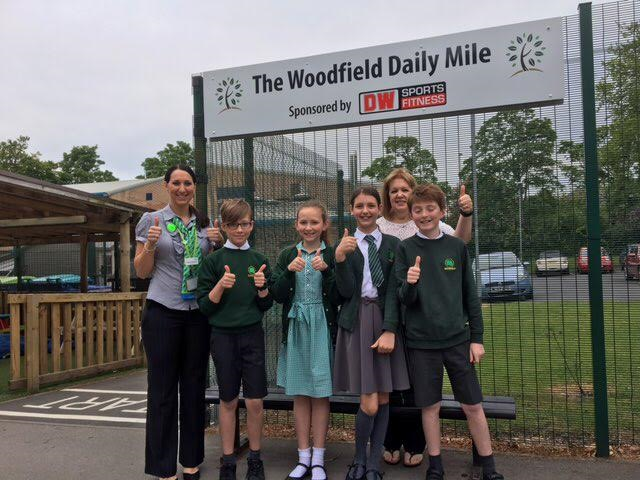 Woodfield Primary School has been carrying out The Daily Mile now for over a year and the school has noticed a huge increase in children’s health and well-being. At a local authority cross-country tournament, Woodfield pupils placed well, with the school coming third for the West of Wigan and the girls’ team coming second. Staff noticed a difference in the children’s enjoyment of the event and how quickly they recovered after the race. 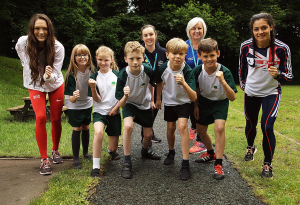 The Daily Mile initiative was launched in June 2016 with the support of Wigan council and local athletes. Wigan Warriors and Wigan Athletic have subsequently been involved with the project, to inspire yet more schools to take it up. The Daily Mile has had a wider impact on the school community with the introduction of a ‘Wednesday Morning Mile’ where all parents, carers and grandparents can join in a Daily Mile. Hazel Whittle from Inspiring Healthy Lifestyles (IHL) provides support for schools in Wigan looking to take up the initiative. Woodfield Primary has said that Hazel has been inspirational and really helped get The Daily Mile underway. IHL has set up school gate walks for families after school on Wednesdays led by their Outdoor Walks Leader. This initiative again supports The Daily Mile and promotes physical activity for the whole family and wider school community. Parents and grandparents can then be identified and trained as volunteer walk leaders to sustain the programme in the long run. IHL has worked alongside Elaine Wyllie, founder of The Daily Mile, to deliver workshops in Greater Manchester with Woodfield teacher, Tom Lyons. They have delivered presentations to head teachers on the impact of rolling out The Daily Mile on the pupils, teachers and wider community. Or follow The Daily Mile on Twitter (@_thedailymile) and Facebook (/thedailymile.uk).